When you hear "Cougar" you imagine a predatory animal - a mountain lion, puma, panther or wildcat. 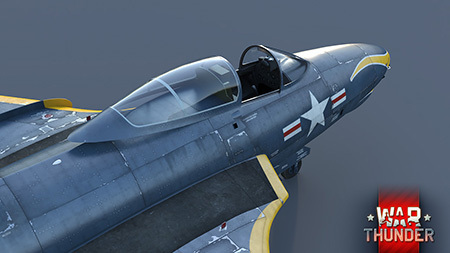 From now on, the first thing you think about will be the brand new US Navy jet fighter for War Thunder! The F9F Cougar was a natural evolution for the F9F Panther, the well-known US Navy jet fighter. Developed in 1952, the aircraft's main difference to its predecessor was the shape of the wings: the Panther had straight wings while Cougar's airframe was equipped with swept ones. The F9F-8 is a version of the machine on which work began in 1953, the main purpose of this modification was to improve the characteristics of the airplane, reducing the stall speed and an increase in operational range. These objectives were achieved mainly by increasing the wing surface and by a slight lengthening of the fuselage. The project was developed to fight against the MiG-15, however the aircraft had not yet made its debut during the conflict in Korea and lost its chance to go head to head with a Soviet jet. 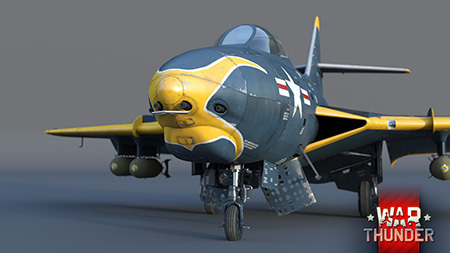 In War thunder, the Cougar will be added to the US Naval fighters branch. 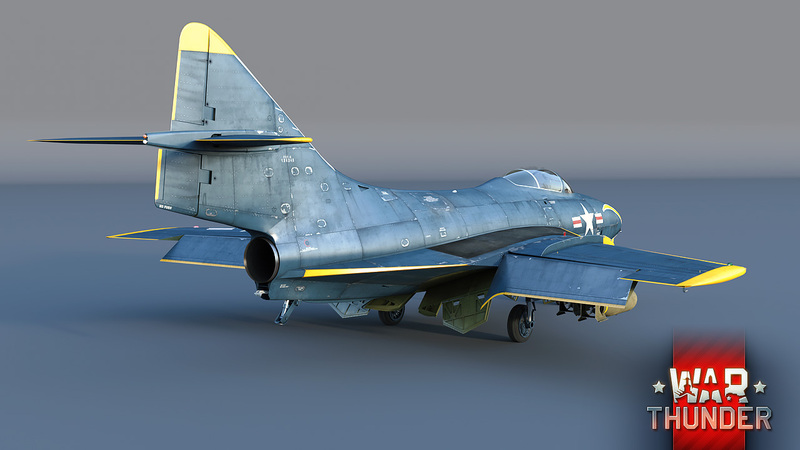 This will be the second American Jet with swept wings in the game, along with the F-86 Sabre. The F9F-8 is armed with four 20mm M3 cannons, and will certainly be a worthy opponent for other aircraft powered with jet engines, especially as its powerful Pratt & Whitney J48-P-8A engine almost allow the Cougar to approach supersonic speed! 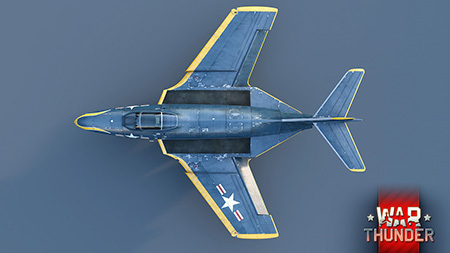 Thanks to its wide wings and great aerodynamic properties, in the skilled hands of an experienced pilot, the F9F-8 becomes a predator worthy of its nickname - “Cougar”. Low stall speed, significant freedom in maneuvering, ease in getting out of even a hopeless situation and the four cannons mounted in the nose should be enough to put hostile pilots where they belong! 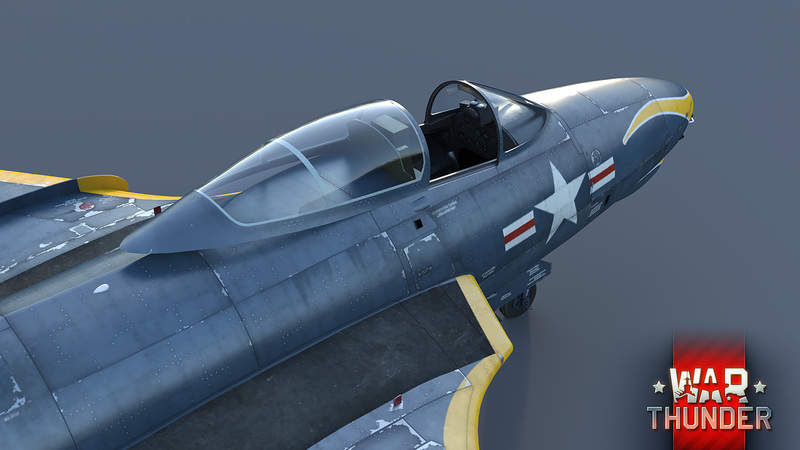 The F9F-8 Cougar is another one of the great and dangerous cats to complement the US Naval aircraft tree. Will it prove as dangerous as the other predators? You will be able to find out soon, in the 1.63 “Desert Hunters” update! Lol. Plane needs leopard print camo and excessive makeup asap! Thanks Lemon, I am glad you are not sour. A4 Skyhawk see in the future? A4 Skyhawk would be a dream come true!